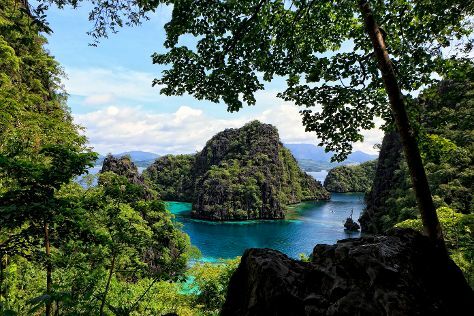 The coastal region of El Nido includes a mainland area of jungle, beaches, and cliffs, as well as 45 limestone islands and islets. On the 6th (Sat), see some colorful creatures with a scuba or snorkeling tour. Get ready for a full day of sightseeing on the 7th (Sun): explore the activities along Big Lagoon and then explore the activities along Small Lagoon. To find other places to visit, where to stay, traveler tips, and more tourist information, use the El Nido holiday planner. Kuala Lumpur, Malaysia to El Nido is an approximately 9.5-hour combination of train and flight. Wrap up your sightseeing by early afternoon on the 7th (Sun) to allow time for the car ride to Puerto Princesa. A convenient place to stay when exploring the island, the city of Puerto Princesa sits on the coast in the center of the landmass. On the 8th (Mon), see the vivid underwater world at Tubbataha Reef and then contemplate the waterfront views at Honda Bay. 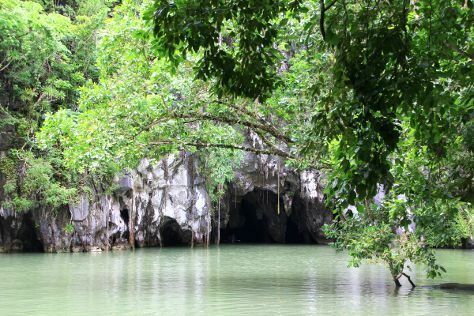 On the 9th (Tue), you'll have a packed day of sightseeing: take in the dramatic natural features at Ugong Rock and then explore the wealth of natural beauty at Puerto Princesa Underground River. For where to stay, ratings, photos, and more tourist information, read Puerto Princesa trip itinerary builder. Traveling by car from El Nido to Puerto Princesa takes 4 hours. Alternatively, you can take a bus. Expect a daytime high around 38°C in May, and nighttime lows around 30°C. Wrap up your sightseeing on the 10th (Wed) to allow time to travel to Coron. Coron tourism has developed around its dive spots, with coral reefs and 10 preserved Japanese underwater shipwrecks to explore. Spend the 11th (Thu) among aquatic life with a scuba or snorkeling tour. There's lots more to do: contemplate the waterfront views at Kayangan Lake, head off the coast to Malcapuya Island, and take in the awesome beauty at Mt Tapyas. To see more things to do, reviews, photos, and other tourist information, you can read our Coron travel itinerary creator. You can fly from Puerto Princesa to Coron in 4 hours. Another option is to ride a ferry. Finish your sightseeing early on the 12th (Fri) to allow enough time to travel back home.